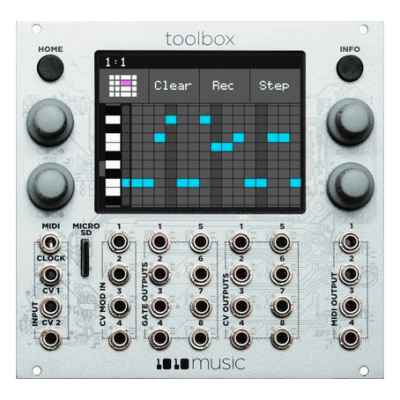 Toolbox is a musically intelligent control module capable of driving a rack full of gear. 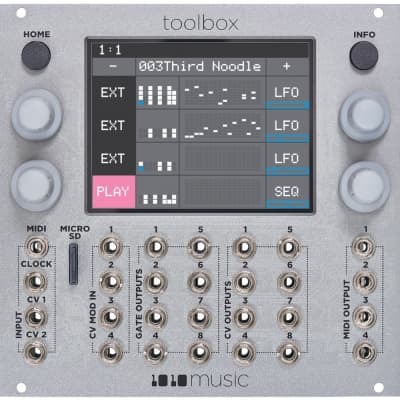 It features both MIDI and Control Voltage interconnects for interfacing with all kinds of different hardware. Toolbox takes full advantage of the integrated 3.5″ touch screen to give immediate access to sequences, parameters, and events. The screen provides a full overview of all the active notes and events. It even offers touch based scrolling and zooming, just like a smart phone, to make editing easy and fun. Toolbox is a great way to be creative on your terms.